Hungry festival-goers line up at the food tents available at Oktoberfest. Photo courtesy Linde Oktoberfest. 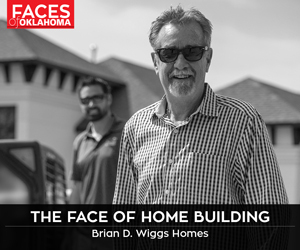 Sometime in early October, a long line of trucks and a small army of burly workers will slowly drive out of a big warehouse in Kansas and over the Oklahoma state line. The end destination: Tulsa’s River West Festival Park. Using the special magic known only to circus crews and carnival roustabouts, the crews will unload several hundred tons of tangled fabric, rope and poles bigger than a ship’s mast, and slowly, the shimmering white tents of Linde Oktoberfest will rise for its 37th year. The largest is 200 feet long and 100 wide, 20,000 square feet total. Meanwhile, in the same park, another workmen’s battalion will put the finishing touches on yearlong renovations, featuring upgrades of the electric and plumbing infrastructure that make the festival run smoothly, as well as decorative touches like the large maypole erected at the park’s entrance. In Germany, maypoles bedecked with ribbons are very much a part of Oktoberfest. The organizers try their best to make Tulsa’s Oktoberfest as authentic as possible. The festival’s production designer visited Munich’s Oktoberfest a few weeks ago in order to garner last-minute decoration tips. Oktoberfest has always been about fun. It began in 1810 when public festivals were held in Munich to celebrate the marriage of King Ludwig I (grandfather of the king who built the castle featured in the Disney logo). The people had so much fun that the party was held again the next year and soon became an annual event. It continues because festivalgoers have so much fun. The same goes for the Tulsa tradition. What started as a small event in 1979, hosted by the German-American Club, has morphed into a huge party. How huge? There’s never been an accurate count, but it’s estimated that at least 60,000 festivalgoers attend each year and eat more than 20,000 bratwurst. [pullquote]Our goal is to make it as much like Munich as possible. With this year’s new decorations, it’s going to be beautiful, and you won’t feel like you’re in Tulsa anymore. [/pullquote]“But we make sure there’s a lot of variety, not just bratwurst,” says Tonja Carrigg, an official at River Parks Authority who has been involved with festival preparation for more years than she can count. “We want as much German food as possible,” she says. And so there is schnitzel and strudel and pretzels. One can find potato pancakes, Ludger’s cheesecake and even a Euroburger; that’s the name for sausages served on a hamburger bun. Festivalgoers early in the day have a choice of food with no lines, can wander from tent to tent unimpeded by crowds and might see some of the many games and contests held in the early afternoon. There’s a beer barrel race, a dachshund dog race and a stein hoist. There are children’s pageants and polka lessons. There are also at least 50 varieties of beer that are as fresh as if they were brewed next door. Some are specially made in Germany for Tulsa’s Oktoberfest. Some of the best beer flows in the smaller tents, each of which has a stage, where a mix of German-themed acts and local Tulsa bands perform. People pack the benches next to long picnic tables to listen. As the sun sets, more crowds and more smiles fill the park. 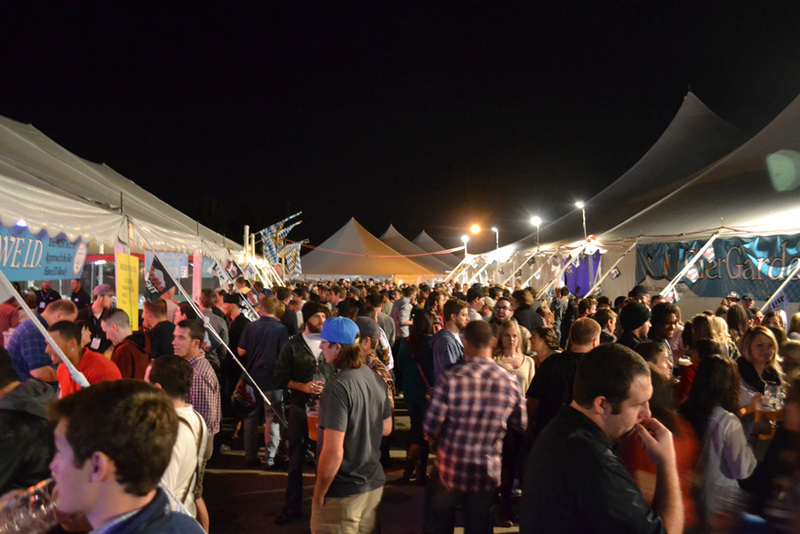 Around 8:30 p.m., swarms wander to the big tent, the Lufthansa Bier Garten. Walking through the night past the lit-up wheels of the amusement park, past all the food and crafts vendors, the enormous tent glows softly. Through the opening in the tent, the space, wall-to-wall with people, is energized with laughter, singing and shouting and dancing on tables. And when asked what separates Tulsa’s festival from Germany’s, all she can think of is those lively feet against the tabletops.